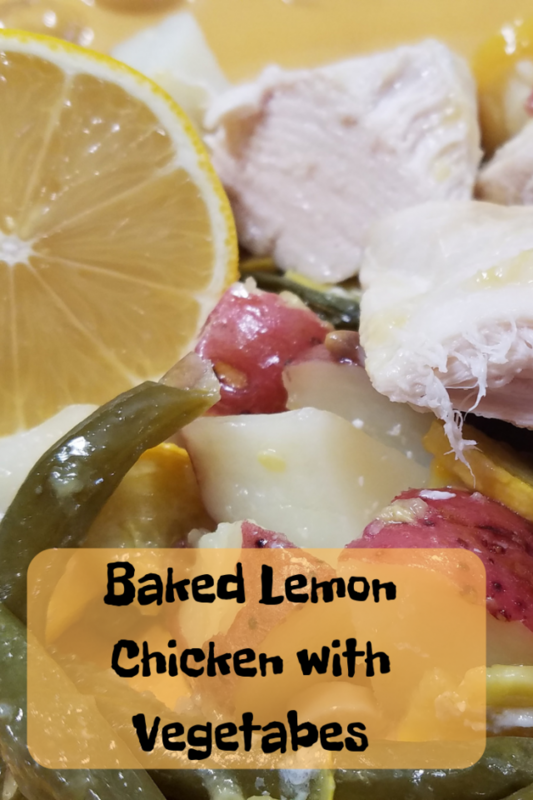 Baked Lemon Chicken with Vegetables is simple to make and is perfect for busy moms and dads that want to feed their family a healthy and hot dinner but are busy with homework, housework and work they possibly brought home with them. 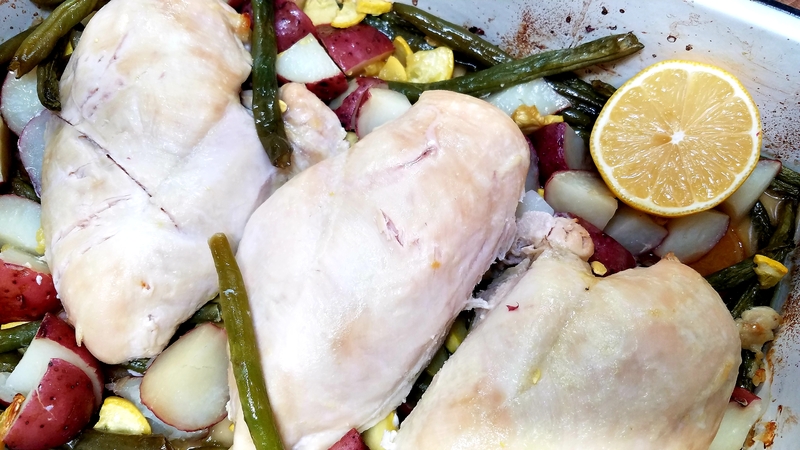 This recipe will allow you to get everything done while baking a hot meal for your family. 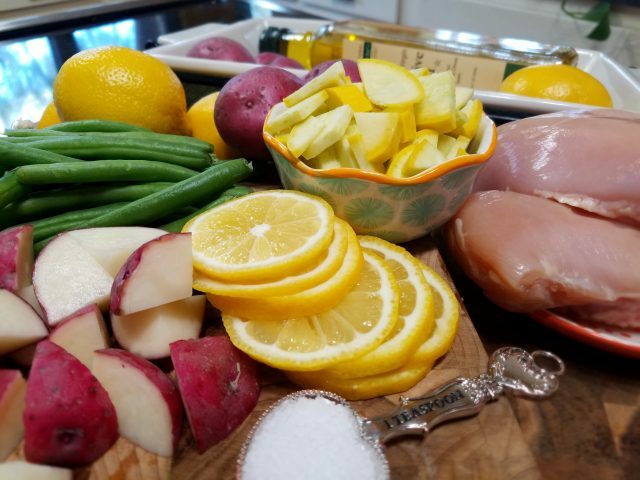 Here is the list of ingredients that you will need for Baked Lemon Chicken with Vegetables. Feel free to add more vegetables or a different combination of vegetables. 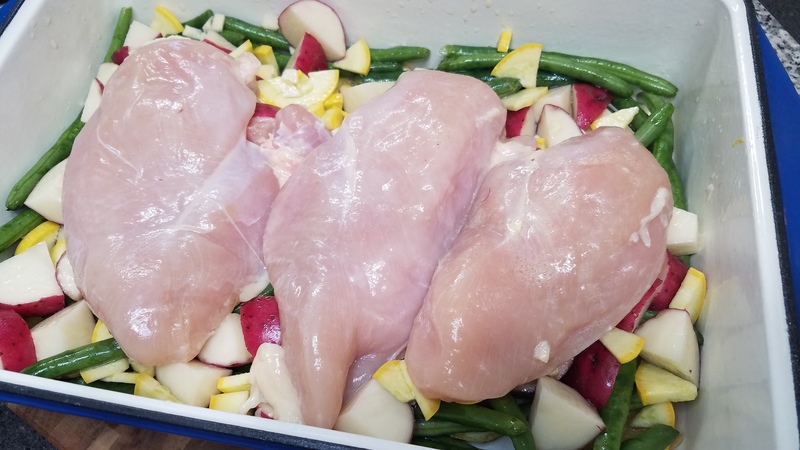 I love how easy this recipe is but I have to warn you that the steps consist of a lot of chopping, dicing, and slicing. 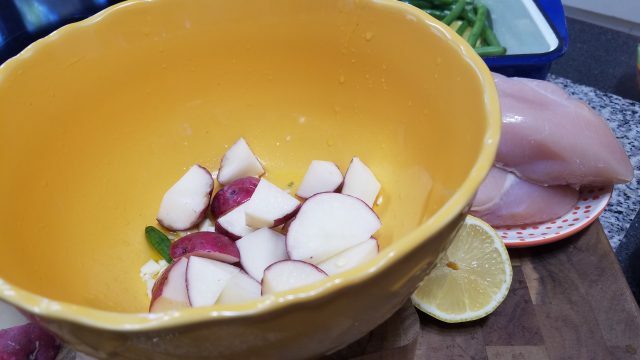 Individually coat the vegetables in the oil and place them in the cooking dish. 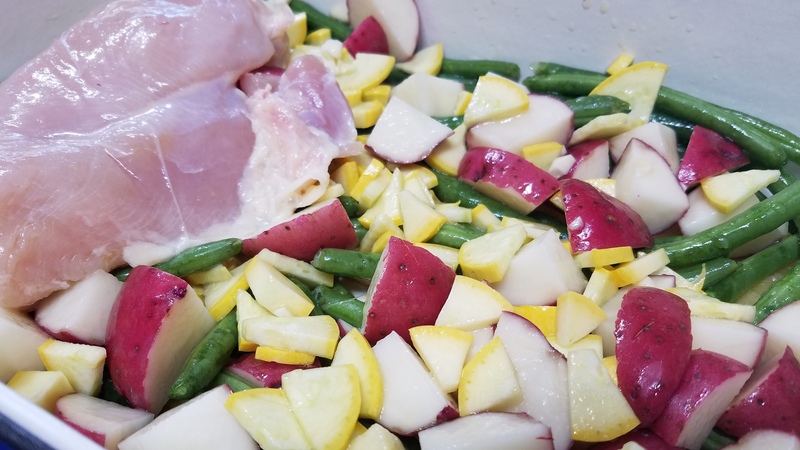 For example, first coat the green beans, add to the dish, then coat the squash, add to the dish etc. Coat the chicken last. Once everything is coated and added to the dish, pour the remaining oil over the food in the baking dish. 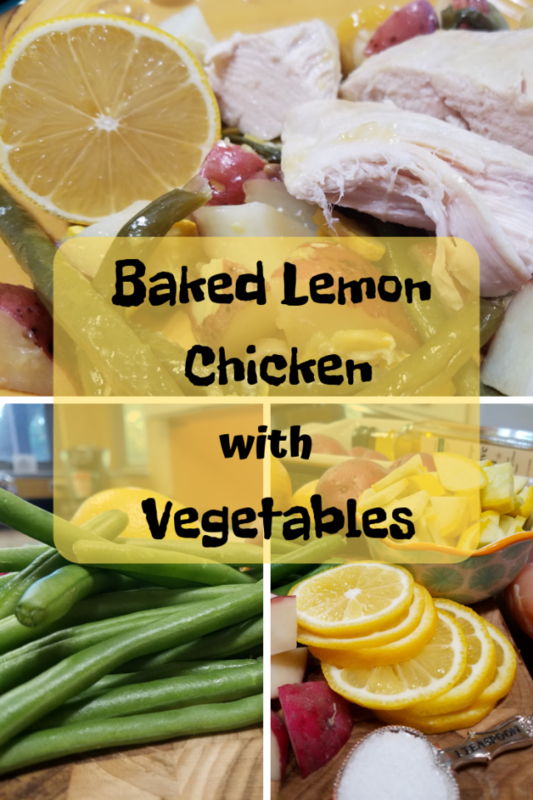 This Baked Lemon Chicken and Vegetables is a great family recipe. It is easy to make and if you do not overbake it, then the chicken and vegetables come out of the oven very tender and with an amazing flavor. 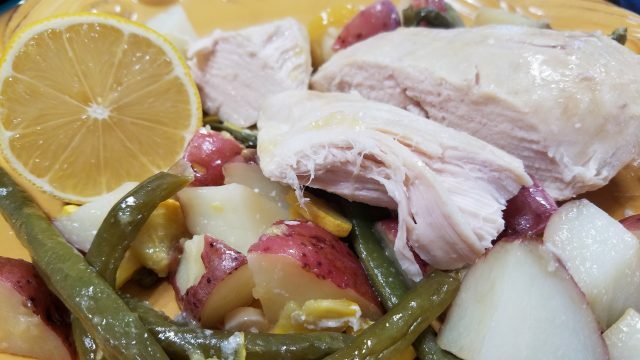 As a busy mom or dad, you may consider dicing and slicing the ingredients the night before so that you will save time. I promise that your family will love this recipe and you will appreciate how easy it is.